The little 260 that could. And one week hunting tahr. Thread: The little 260 that could. And one week hunting tahr. Just back from from a cold but eventful week in the South Island. 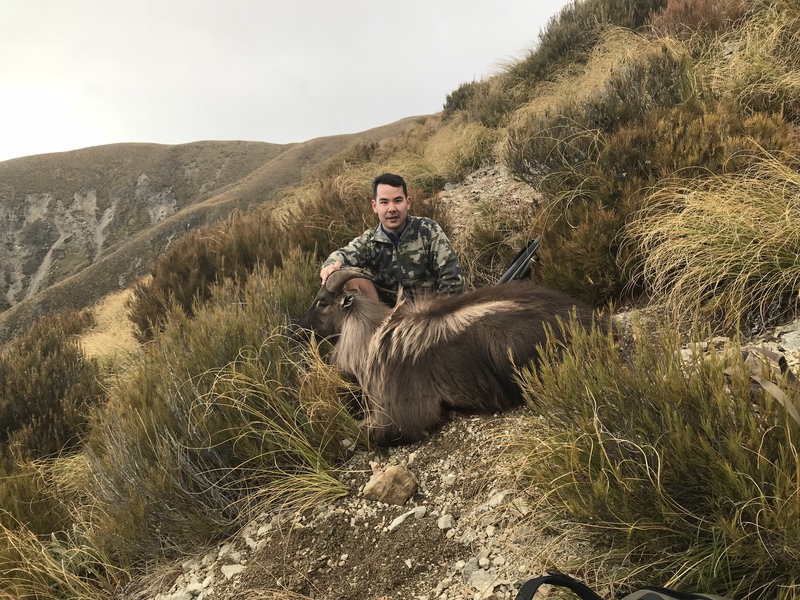 I’m not an expert when it comes to tahr hunting, nor have any mates that hunt them. But for me and my twin brother it’s got to be my only true passion of species to hunt. Trying to get a few mates from the north island to head down is always met with excitement but has never gone any further then dreams. While being from Wellington getting into the South Island is always a juggling match, which week is best, will the weather be kind and where to go! I try never to stick with one area but have plan a-z in place. Last week was no exception, weather had its ups and downs with snow, rain, and sunshine all rearing there faces but still managing five full days in three different areas this was going to be great. First day was met with anticipation, would we even see anything or have we just wasted money and time for nothing. Walking up to the doc hut wondering will we be alone or sharing, not that I don’t mind sharing but having freedom is always great. 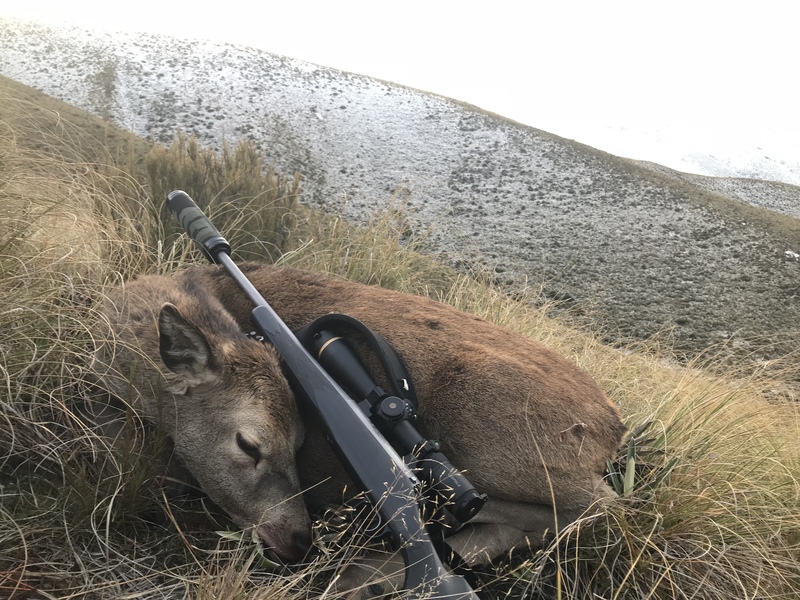 That evening while climbing through the lightly snow covered tussock reaching the crest on the hill we spied a small stag and yearling spiker. Not one for eating gumboots, the yearling got death wish. Next Morning was brought with high winds and sideways rain, not one to hang around and look out the windows the idea was to just walk the flats with no real place to be. 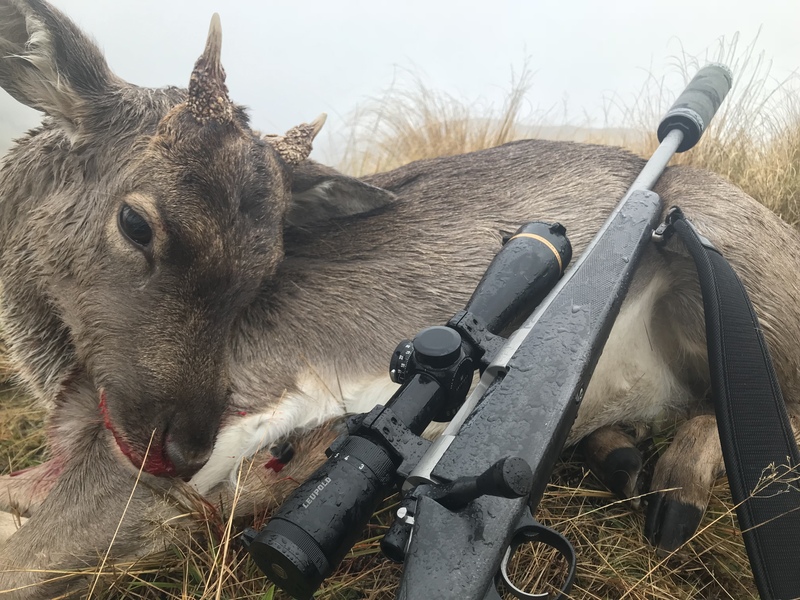 Few hours had passed and out of nowhere a fallow spiker lifted its little head and was to meet with a 260 pill to its shoulder. Packs full getting back to the truck was a slow going. Old ground. Having visited this area once before I knew tahr were present most of the time, but with any doc block nothing is promised. Up up and up some more we get into a position to glass into the surrounding basins and within minutes tahr could be spotted. Picking this bull wasn’t for his horn size but more the fact his dark winter coat was blowing In the wind, this unlucky fella was coming home with my twin brother. The 300 sounded and the bull fell to a heap. New basin, new day. Having not visited this area in the past today was a new day. As always up up and up was on the cards, we get to where glassing in the snow was very unpleasant. While casting our eyes over the catchment for hours thinking we have seen everything that this area could hold no more then 500 yards from us one lone bull decides to move out into the open country would be his last mistake. Dropping out of site I made my way close to where I believed the bull would be held up and to my suprise he was now within range. The 260 fires up and down goes the bull. 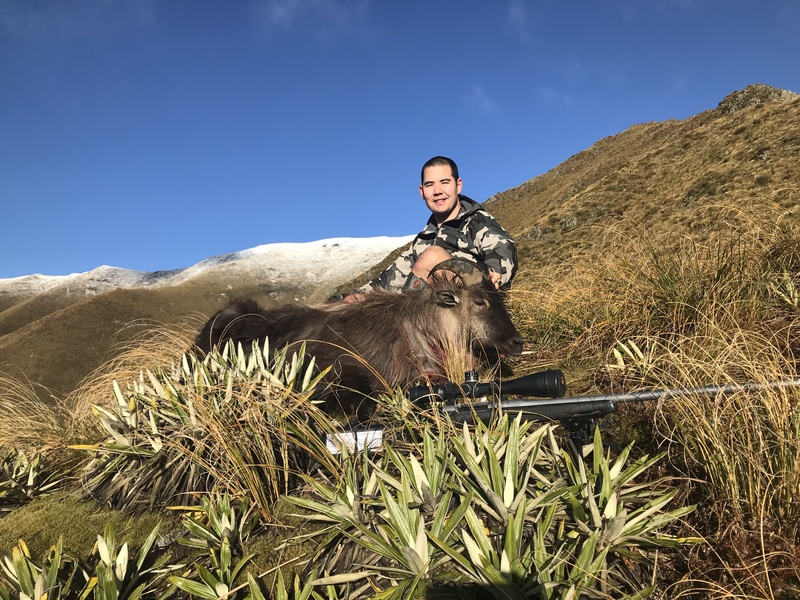 Not my largest of tahr at 12inch still one I will give the respect and take all meat possible. This would end what was one awesome week into the South Island where passion meets reality. Philipo, Nathan F, muzr257 and 44 others like this. Nice report Dale, looks like a great trip; I’ll be keen next time! Tahr and dale like this. Yeah mate I’ll text ya. Looking at oct.
Nice as my man and yeh I know, I’ll come with you guys one day!! nice one dale,looks like a great trip. Well done Dale & bro, well earned. Trials bike for Tahr Hunting?